Cesco Australia is the Australian agent for the Swedish made FEJMERT Pan Mixer. Manufactured in Sweden and sold worldwide since 1953, Fejmert pan mixers are a robust machine used for mixing dry and stiff concrete to wet and light flowing concrete. 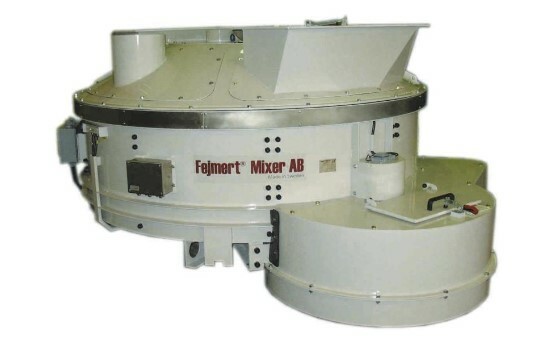 Originally designed for the concrete industry, Fejmert pan mixers are now used for the homogeneous mixing of raw materials in the glass industry, plus the processing of residual ash from combustion plants.